Keep up to date with the latest in agency new business with Campaign's Thursday round-up of pitch lists, reviews and wins. The final three agencies in the Debenhams review – Mother, Karmarama and Portas – presented their pitches last week. The retailer is expected to make a decision by mid-November. For the next stage of the review the brand might either narrow it down to two agencies or choose only one to present to its board. Honda Motor Europe is considering four agencies that are pitching for its pan-European advertising brief: Mcgarrybowen, Wieden & Kennedy, Hakuhodo, and Joint. Ikea has held meetings with agencies as part of a review of its UK and Ireland CRM account, with an eye to expanding the remit to include digital work. 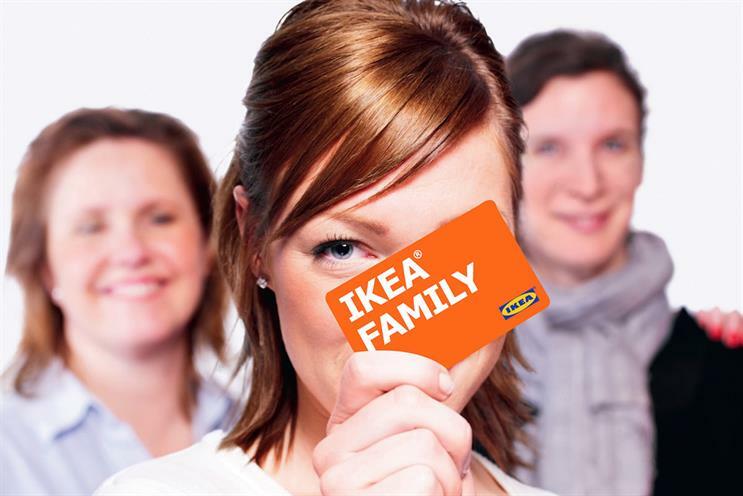 Lida is defending its work on the CRM account and is looking to expand its work with Ikea to include the digital remit which will involve web services and social CRM. Fiat Chrysler Automobiles, the Italian car manufacturer, is reviewing its advertising across Europe, the Middle East and Africa. It currently works with a number of agencies including Leo Burnett in Italy, which handles the Fiat creative account. Waitrose is talking to agencies about its customer loyalty account. The review is being handled by Ingenuity. P&O Ferries is reviewing its advertising requirements. The brand has contacted agencies but it is unclear whether the brief would affect MRM Meteorite, which was awarded its pan-European advertising business in 2014. P&O Ferries and MRM Meteorite were unable to immediately respond for comment. Wilko, the household goods retailer, is looking for creative agency. There is no incumebent and the brand has not worked with an agency of record since TBWA\Manchester created "Keeping up with the Rogers" in 2014. Ingenuity is handling the process. Mitsubishi Motors has selected Amsterdam Worldwide, without a pitch, as its lead global brand agency. A new brand strategy developed by the agency, "Ambition to explore" is being introduced this week at the Tokyo Motor Show and a new tagline, "Drive your ambition", is starting a global rollout. HM Revenue & Customs has appointed Adam & Eve/DDB and retained Manning Gottlieb OMD for its advertising and media account. Engine previously handled advertising. Amnesty International UK has appointed VCCP as its lead strategic agency after a pitch. There is no incumbent as the human rights group had previously worked with agencies on a project-by-project basis. Above & Beyond has been appointed as lead global creative agency for The Balvenie, the William Grant & Sons whisky brand. The agency will be responsible for strategic thinking, creation and delivery of multi-platform creative work. It is the first dedicated creative agency to work on the brand and Above & Beyond won the work after a competitive pitch. Dot London, the official domain name for London, has picked Havas London to work on its advertising, media planning and buying, and SEO and content marketing. There is no incumbent on the account. Albion London has previously worked on the business on a project basis. MC&C has won the fundraising media account for The British Heart Foundation. The win sees MC&C manage the fundraising account, while incumbent PHD retains the brand marketing account. CreativeRace has picked up three new eCRM clients. The agency won dog food brand Eukanuba following a competitive pitch, and Vitality insurance and Nexus vehicle rentals without a pitch. None of the three had an incumbent agency. Boden, the online clothing brand, has picked The Pool to work in its content and events for the "Wear it like a mum" campaign. There is no incumbent on the account. The work will be led by a talk hosted by Lauren Laverne called The Pool presents… Modern Motherhood and What it Means Today, as well as blog posts after the event. Keko London has won the account for De Beers’ Forevermark’s Exceptional Diamond Collection. The agency will be responsible for creating and activating a new global marketing strategy and have been tasked to redefine the brand’s experiential strategy.